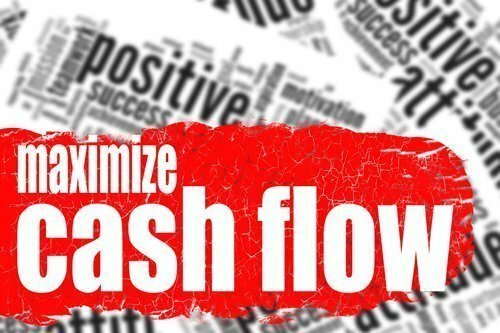 In this article I have put together 5 tips to improve cash flow in 2016 in your business. Cash flow is the life blood of a business and no business will last very long where the cash outflows exceed the cash inflows. Every business, and in particular startup businesses, must monitor their cash flow to avoid serious business disruption. In business, cash is king…get this right along with healthy profits and you’ll grow your business – to read our white paper on this please go to this link: Business white papers. New Year is always a good time to review things, and reviewing your business shouldn’t be excluded from this. 1. Review your debtor days. What are your payment terms? How long are your customers taking to pay you from when you’ve raised your sales invoices? It might be that you allow a certain payment period, say 30 days or 60 days, which in itself can affect your cash flow. But also, how is your credit function, and how quickly are you chasing payment? Are your customers taking advantage of a slack credit function in your business? Speeding up your customer payment terms will improve cash flow. Improving your credit function and by tightening up on how long you allow your customers to pay, can significantly affect your business cash flows and your resulting bank balance. 2. Review the timing of raising your sales invoices. Before your customers can pay your business, you need to raise a sales invoice and send it to them. If you are not doing this immediately after you’ve either supplied the service or product, you are seriously affecting your business cash flow. When I did some consulting work with a business, they were having major cash flow issues; they where always at the limit of their overdraft facility; they always found difficulty in paying their VAT liability when it fell due, once resulting in HMRC (UK’s tax authority) turning up at their door step looking to seek payment. When I investigated further, it turned out that they were taking some five months to raise certain of their customer invoices, which on a rolling month by month basis amounted to over £50,000. Their overdraft was limited to £30,000, and they were always at the limit and paying significant interest for the privilege too. A simple solution was to change the timing of how quickly the business raised its invoices, which would wipe out the overdraft and give the business some working capital too. Send out your invoices on time. Speeding up how quickly you raise your invoices will improve cash flow. 3. Ask for extending credit terms from your suppliers. Agreeing to longer payment terms with your suppliers will have a beneficial impact on your cash flows. As a new startup business, it’s not always easy to get good credit terms, but as your business ages, it should be able to obtain better credit terms. However, if your suppliers are unwilling to extend your credit terms or to increase your credit facility, it might be a good time to look for another supplier. Make sure you get the same service from the new supplier, and if they are supplying product or raw materials, make sure they are of the same or better quality. Extend your credit terms with suppliers. Seeking extended credit from your suppliers will improve cash flow and it’s a free source of business credit. As a business owner it’s good advice to plan and to sit down and prepare budget forecasts and estimate expected cash inflows and outflows. This is a good time to review your company and what kind of year you want from your business. How much are you going to invest in your business to grow it? Factors to consider in your budgets would include your sales cycle, the payment terms for customers and potential discounts they receive. Your cost of sales and the suppliers you use together with your overheads should also be reviewed at this time. For a full review of what to look at when preparing a cash and profit forecast please see this article here. Failing to plan is like planning to fail. Preparing budgets and forecasts with a business plan will help to ensure the success of your business. Just because you’ve set your budget does not mean that you should leave it there. Budgeting and monitoring of the results should be done on a frequent basis. At least monthly should be a minimum, but depending on your situation more frequently might be needed. You should be comparing the actual cash flows with the budget. You need to work out whether things are going to plan or not. If your cash inflows are less than anticipated, figure out the reason for the shortfall. Being on top of this at an early stage will help you to stave off any longer term problems. If your cash outflows end up being greater than you budgeted for, it is important that you understand the cause of the fluctuation. You will need to update your forecasts for the changes and make sure that any cash flow impact is minimised. Once the reasons for variances from budget are determined, you can make the necessary changes to your business, by either correcting the budget or the business plan or both. What you measure you will manage. Measuring and managing is what running a successful business is all about, so preparing a business plan with associated cash flow and profit forecasts is a good starting point, but monitoring the results is the key to keeping on track. Cash Flow Improvement Tool…When I began to write this article, I wondered how easy it would be to work out the impact of changing a company’s payment terms with its customers and its suppliers in order to improve cash flow. I wanted to know just how this would impact on cashflows and on profitability. so I then set about putting together a Cash Flow Improvement Tool – this can be found under our free business tools or by clicking here.